Just in time for the holiday rush. When I was introduced to PORKY PIT, I can't help but think about it. Perfect timing and delicious at that. At first glance, it seems to be one amazing roasted pork belly. The smell would entice everyone that comes near it. But, I am getting ahead of myself. 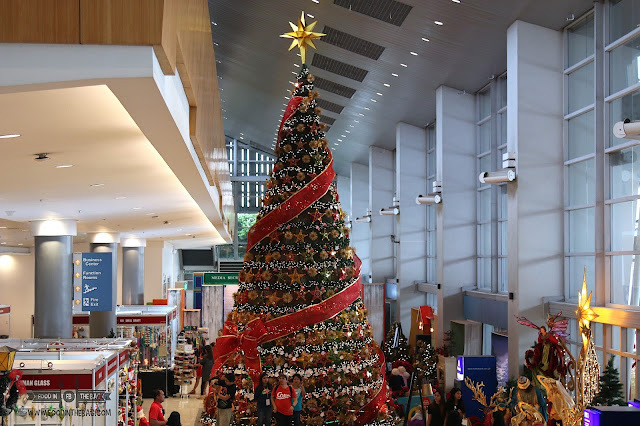 Passing by the World Bazaar Festival in the World Trade Center in Pasay City, one could check out the different booths perfect for the coming Christmas Season. 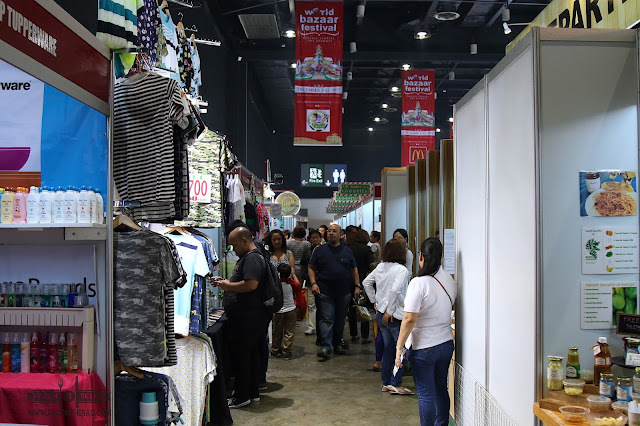 There are roughly 700 booths that would cater to 230,000 shoppers. From December 3-22, 2017, one could head on over to do a bit of Christmas shopping. One booth that took my fancy was PORKY PIT. It was lunch time and I could smell the delicious aroma of cooked pig. 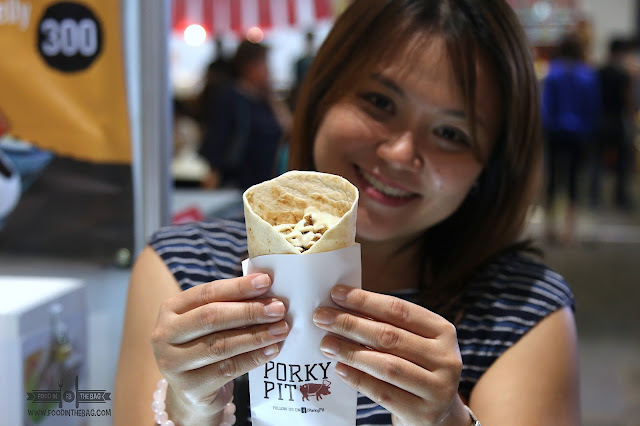 Located near the food area with booth #340, PORK PIT is packed with everything that a foodie would want. An oven for the roast cebu lechon and all the condiments and vegetables their products would need. One item that took my fancy would be their LECHONARMA. 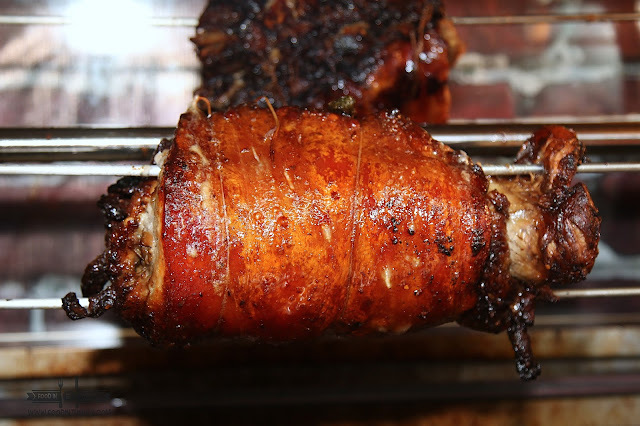 A wrapped lechon that is quite similar with shawarma. Believe me, this is the perfect snack to bring while shopping or going around. 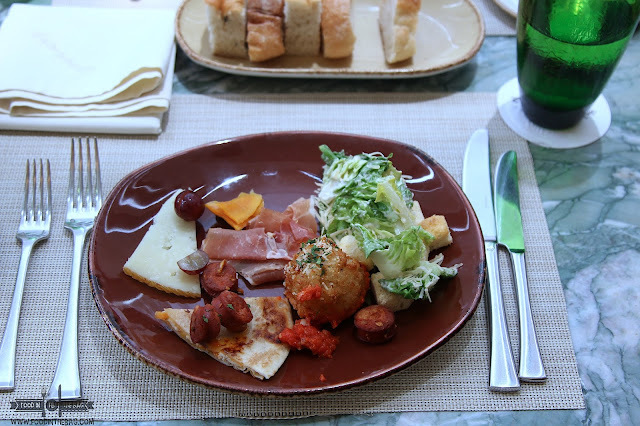 One could have it with vegetables or just plain lechon meat. 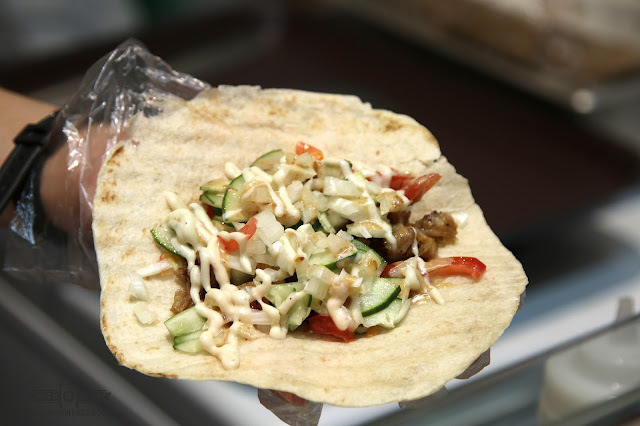 Everything is wrapped within their pita bread. Toasted, it makes perfect sense. 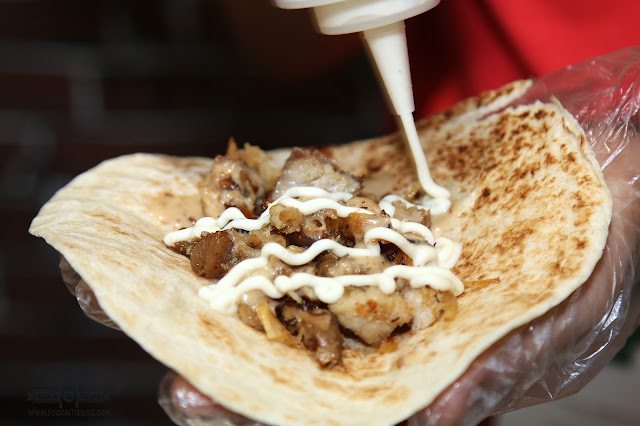 One thing that makes their wraps pretty good would be the sauces. They use roasted sesame and garlic sauce to make everything jive together. Personally though, I would prefer the one with the veggies as it gives a fresh flavor that cuts into the meat's. Furthermore, these lechon bellies do not have preservatives. Plus, they come fresh from BFAD accredited suppliers. 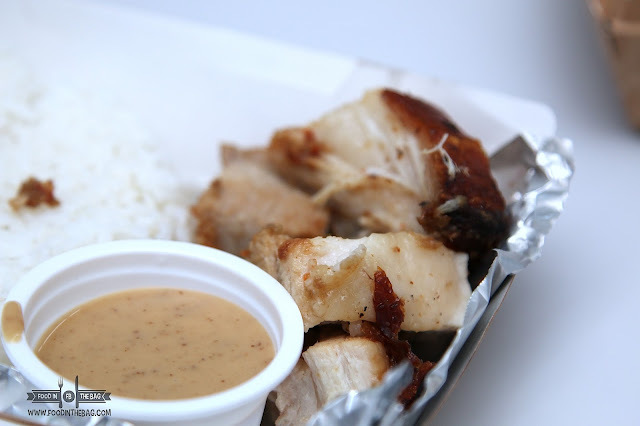 In addition to the wraps, they also offer lechon belly and lechon rice. For half a kilo, it would cost 300 Php, while 550Php for a whole kilo. Lechon Rice would be around 99Php. 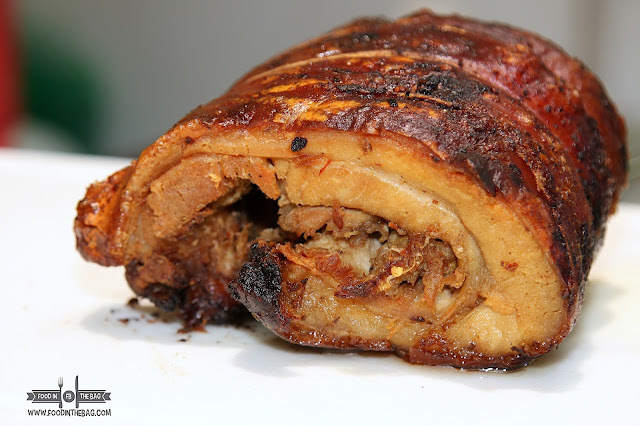 Lechonarma would cost 75 or 85 Php depending if you like it with veggies or all meat. 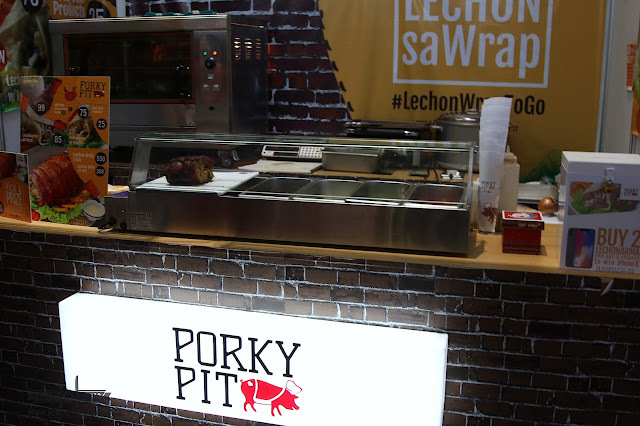 If you find yourself in the World Bazaar Festival, drop on by Porky Pit and you could also win instant prizes and a chance to get an Iphone X when you buy two lechonarma. 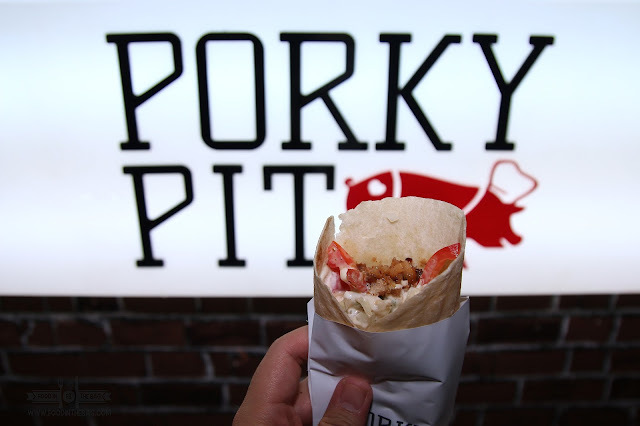 PORKY PIT will soon open branches in different SM MALLS. Hopefully, their first branch would open within the year in SM SAN MATEO. You could follow them at https://www.facebook.com/PorkyPitOfficial. You could also contact them at (632) 656-1161. Disclaimer: The Meal was courtesy of Porky Pit. I wrote this based on my experience and opinion.